The entire realm of the business world is laden with dire intimidation, where management duties, finances, and business inspiration are difficult aspects to completely master, yet within all this fear and worry also comes the grand opportunity to succeed in ways never thought to be possible, and the Harvard Business Review is there to help business people along the way. Buy a single copy or subscription to Harvard Business Review magazine. Each issue contains detailed and informative tips and techniques covering leadership, strategy, the management of people, the management of the self, how to change management, drive business growth and change, and lead business smarter in order to create a more positive impact within this compelling field. 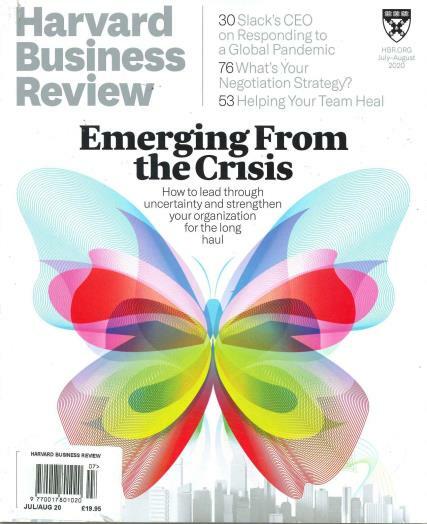 As a source for inspiration, Harvard Business Review is considered the best magazine on newsstands for decision makers, who inevitably seek useful and Harvard approved leadership and management techniques, all of which are essentially critical for not only success but also survival in the business scene. All articles are written by some of the world’s leading thinkers on grasping business essentials and accomplishing one’s goals, as this magazine is based on definitive and innovative research that show simple and practical methods that you can put to use in improving business, management ability, and financial success. For anyone who is looking to improve their business intellect, Harvard Magazine is easily the only magazine that provides such a rigorous and inspiration for businesspeople and students alike.